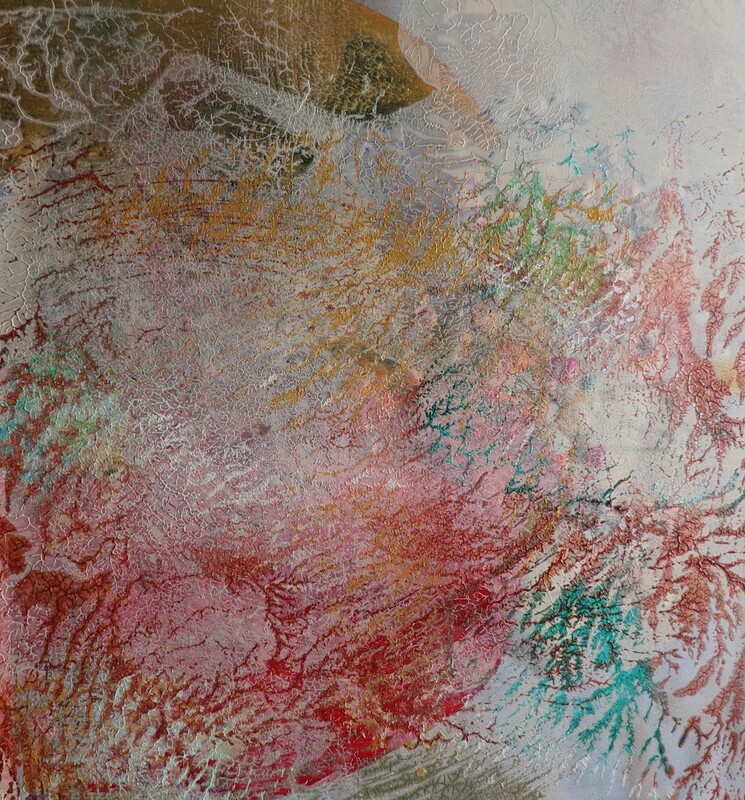 Currently there is a fashion for using Gelli-Printing pads to create surfaces for paper and fabric. I have one, but it’s size is restrictive, and there are many techniques that can’t be used with the pad. For many years I have been using a simple technique that I still think produces results which totally surpass those achieved using the expensive ‘gadget’. I’m not yet ready to reveal my technique, but probably will in the not too distant future. If you have a Gelli plate continue using it. You can get some interesting results with that too, but you need to work at it. Below are some of my recent artworks produced using my method. More can be found via this tag. I will add others below from time to time. This is beautiful. The gelli plate is fun, but I never let the lack of one stop me in the past! Liking the decalcomania effect!